Our partnership approach means we treat every event like its our own. We will use every relationship, gem of knowledge, and tool in our belt to make sure it's a smashing success and you're are a rock star to your guests. We will handle all of the details and vendors so you can focus on your guests. Our experience allows us to streamline the process, customize the event to your vision, make invaluable suggestions, provide solutions, and creatively work with your priorities to maximize the value and get you the best bang for your buck! Sit back, relax, and enjoy the party...we got this for you! Over a decade of offsite catering and events experience has given us extensive firsthand knowledge of hundreds of venues available for your event. When you work with us our first goal is to set the tone and find the perfect space for your event. We can help prioritize location, amenities, costs, and design aesthetics of hundreds of venues to narrow it down to a few that can be perfect for you. Meetings to life celebrations, we have the perfect place! We even have access to some of our client's private venues that you can't find anywhere else. 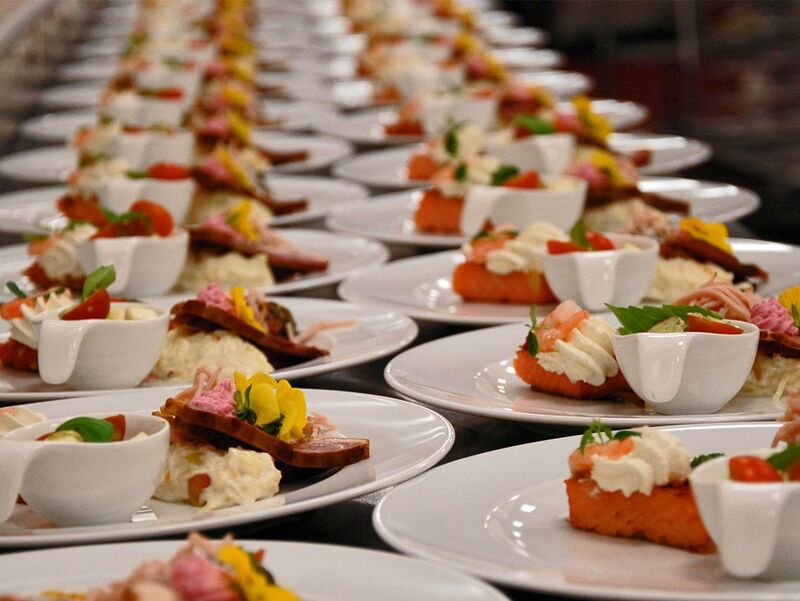 We can cater most events ourselves, but even we know we have limits. No need to worry, we plan plenty of events that we don't cater, especially the big ones. Our event experience and relationships allow us to manage the entire event including vendors. Don't worry, we always play nice with other caterers, in fact we are good friends with most of them! Check out our catering, or reach out with some event details of your event and we can let you know the best way to start planning!